Research shows that sedentary behavior is linked to obesity, cardiovascular disease, metabolic syndrome, and diabetes. However, a new study published in the Journal of the National Cancer Institute suggests that prolonged sitting may be connected to certain types of cancer. The research, conducted by a team of researchers from the University of Regensburg, analyzed data from 43 earlier studies on the link between sitting and cancer. The meta-analysis included over 4 million people who answered periodical questionnaires on the amount of time they spent sitting, whether it was in the office or in front of the TV. There was a distinct correlation between prolonged sitting and an increased risk for two types of cancer: endometrial (uterine) and colon cancer. Those who sat for long periods of time had a 24% increased risk of developing colon cancer, and a 32% higher risk for endometrial cancer. Not surprisingly, time spent sitting in front of the TV posed the greatest risk: a 54% increased risk for colon cancer and a 66% higher risk for endometrial cancer. These numbers may be linked to body weight, as other research shows that obesity is a known cancer risk factor. However, the researchers observed that prolonged sitting increased cancer risk regardless of physical activity level. This striking finding means that there is a connection between sedentary behavior and risk of cancer regardless of how much exercise a person gets. The new study tells us that in order to protect ourselves against various cancers we must not only get the recommended physical activity we need to stay healthy, but reduce the time we spend sitting throughout the day as well. Exciting news from our friends at Fight Colorectal Cancer: country music artist Craig Campbell is the organization's first National Spokesman! 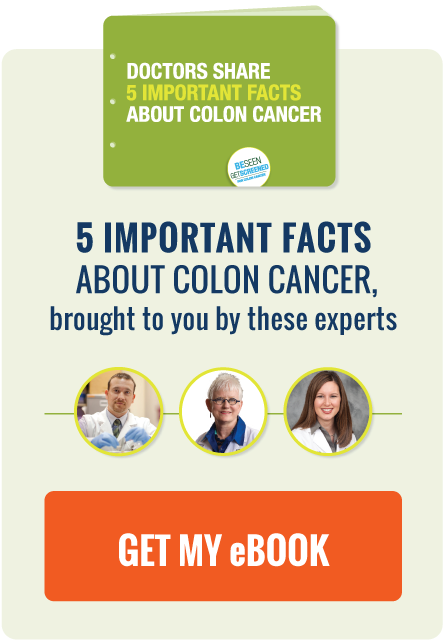 An interesting article on the changing profile of colon cancer patients, titled Diagnosed with Colon Cancer at 25. A new genetic testing study from Ohio State University sheds light on Lynch Syndrome. Check out our Hero of the Month feature on Georgia Hurst for more information about Lynch Syndrome. Research provides a few more clues as to why colon cancer survival rates are lower in African Americans.